The purpose of the South Lake Art League is to encourage and promote all forms of art and its appreciation throughout the area. Information & announcements will be communicated to all active members by email. 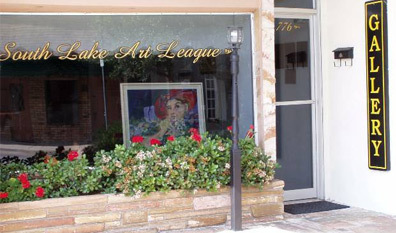 The South Lake Art League (SLAL) has six regular meetings a year (September, November, January, March, April and May) at the SLAL Gallery, 776 W. Montrose St. in Historic Downtown Clermont, Florida. The SLAL was founded in 1966 and maintains a fiscal year of June through May. There are two Member Canvas Art shows and two member Photography shows each year, Fall and Spring. Classes and workshops are available. Come join the South lake Art League and meet many fine artists as well as those seeking to find a creative outlet all their own. The membership meets six times a year (September, November, January, March, April and May). At most of the meetings there will be a demonstration of interest to the members and a bar-be-cue at the April meeting. In May the active members vote on the Board of Directors. 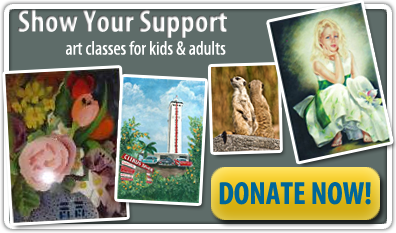 The South Lake Art League was established in 1966 to encourage and promote all forms of art and its appreciation throughout the South Lake County, Florida area. 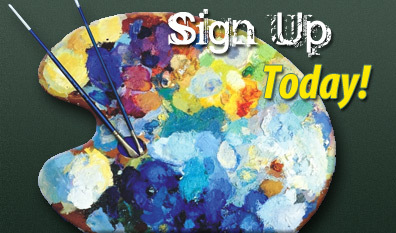 Register for a class with one of our instructors by visiting our Art Class Schedule section on the menu bar above.